In this post the best hotels in Can Picafort. checked & approved. In different price categories but all offering great value for money. 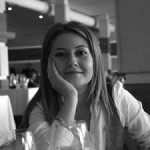 For this post I read reviews on the over 60 hotels in Can Picafort on 5 review websites and picked 14 of the best hotels. Checking these 14 hotels in real life left me with 6 not delivering to what was promised online and 8 proving that they are truly dedicated to quality holidays. All these hotels you can book today and be sure you made the right choice. Ferrer Concord Hotel & Spa is a hotel that has recently been completely modernized. 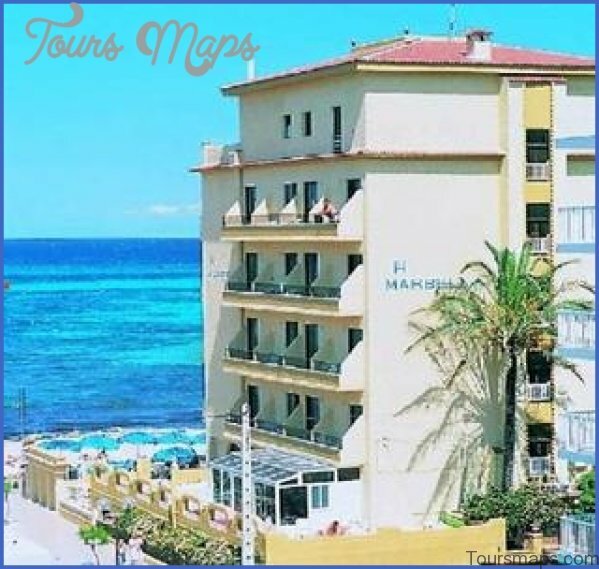 Its not a very big hotel but has a great location right next to the sea in Can Picafort and the beach of Son Baulo, so ideal for people who like to spend time on or near the beach on their holiday. This was also one of the reasons the hotel Ferrer Concord scored so highly, the great location. The only thing is that the pool is not very big, so if you have kids or would like some bigger pool, then the hotel Ferrer Janeiro, just down the street, right be a better choice for you. 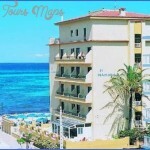 Ferrer Concord is one of the cheaper hotels in this list and offers great value for money. THB Gran Playa is an adults only hotel, so no kids allowed. 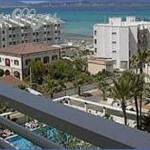 It’s located centrally in Can Picafort and 1 minute walking from the beach. This hotel overall got very good reviews but some people were not happy with the rooms. When I tried to dig further into this, all I could find about the rooms is that they were smaller then guests wanted. The hotel has a nice pool and plenty of sunbeds. I was in this hotel in the middle of high season and there was plenty of space and it did not feel overcrowded as you might find in many other hotels around this time. All in all the hotel, for a price of 700 euro for 2 people with breakfast included for 1 week in June, the hotel THB Gran Playa is well worth the money. 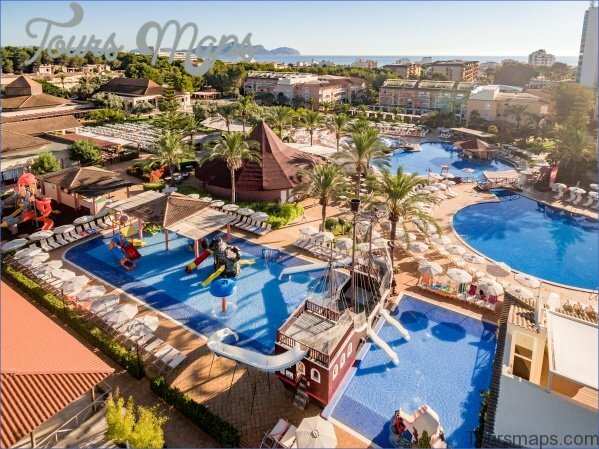 Viva Can Picafort is located in the back of Can Picafort and is a great family hotel with loads of space and plenty of pools for everyone. 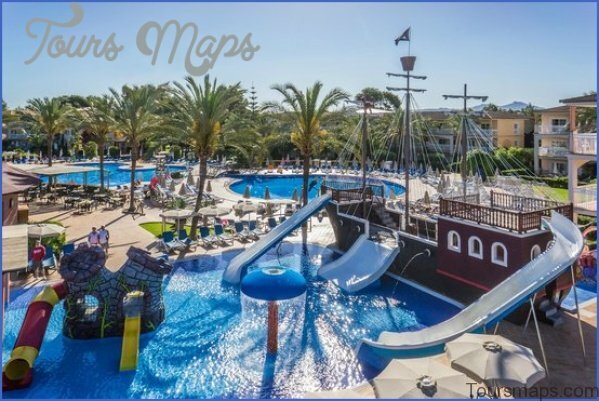 There is a dedicated pirates themed kids pool, an 18+ pool for relaxing and general pool for everyone. 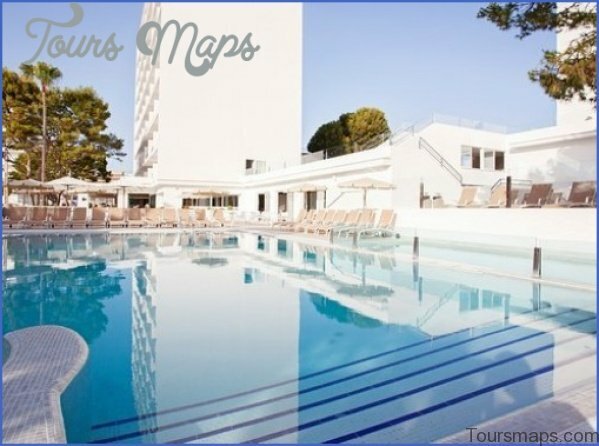 The Viva hotels group has many hotels all over Mallorca and many of them you can find in my other posts as well because the group is really dedicated to offering great holidays. This is also helped by the great day and nighttime entertainment offered for the entire family. Viva Can Picafort can be found at similar prices as the other hotels in this list. The hotel Stil Bonsai in Can Picafort has very high scores all over but he main reason for this is the cheap price. You can find this hotel for under 500 euros for a week in June with 2 adults and breakfast included. The hotel Stil Bonsai is very much as you see it on these pictures. It feels clean but has a bit more antique interior. Its great for people looking for a cheap or low budget holiday. I found the hotel Still Bonsai for under 500 euro on Roomerank. com, the website shown at this moment and the only price comparison website I know with a lowest price guarantee. This is also where I found all the hotels for my own stay in Mallorca. 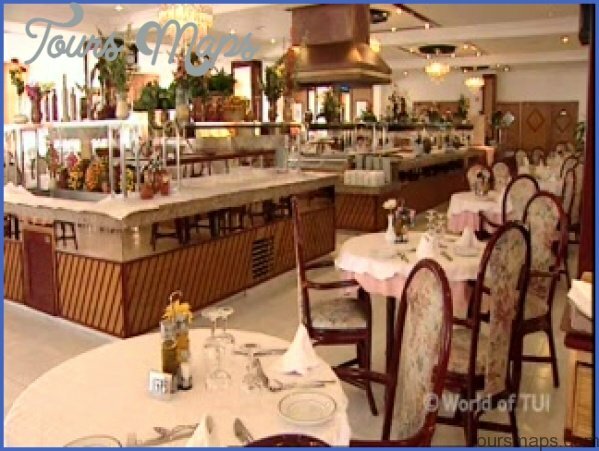 Viva Mallorca is basically a copy of the hotel Viva Can Picafort. It offers the same and even has pretty much the same scores on review websites. The only difference between these hotels is more in the guest then the actual hotel. One hotel is more English and the other is more for German guests. Also in the hotel Viva Mallorca they offer great entertainment in the day and the nighttime. 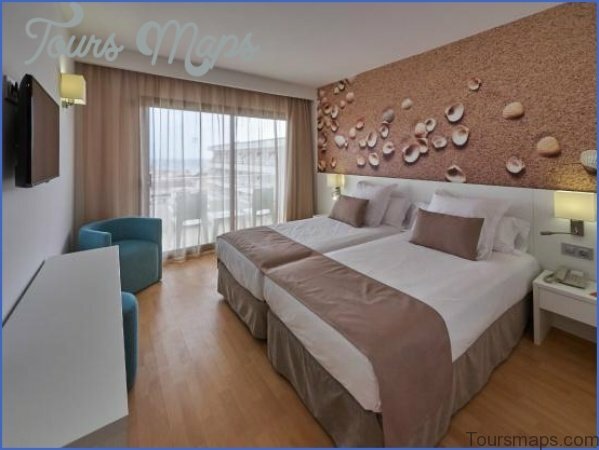 This hotels offers a whole lot of great stuff, but is also located in the same place as Viva Can Picafort, a bit in the back of Can Picafort. The hotel Stil Picafort Park is very popular with couples. I did not see any kids during my visit but am not sure if it is adults only or not. There is a big pool in the middle with loads of garden and plenty of sunbeds around it. The hotel felt clean and fresh and staff was very friendly. 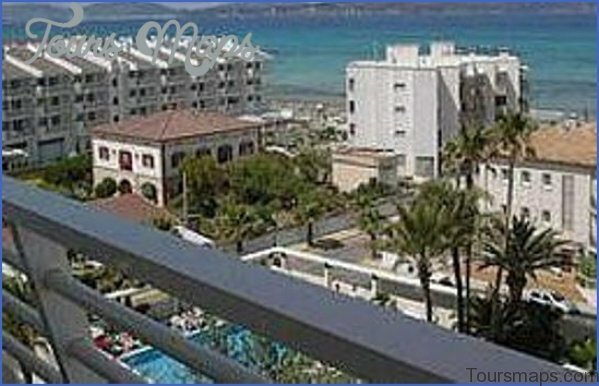 The hotel Stil Picafort Park is located in the more residential area of Can Picafort so very quiet and peaceful. Ferrer Janeiro Hotel & Spa is the bigger version of Ferrer Concord with more space, pools and and a spa area. Just like Ferrer Concord the hotel has recently been completely modernised and feels very fresh and clean. This hotel is ideal for families but if you want a bit more peace and quiet, then the hotel Ferrer Concord might be a better choice for you. Grupotel has many hotels in Can Picafort. Many of them are very new so they don’t have many reviews yet and it’s hard to get a clear picture on if they are good or not. Most of them feel very clean and fresh. 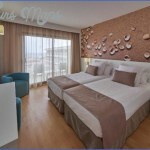 The Hotel Grupotel Gran Vista in Can Picafort is one that I can definitely advice. 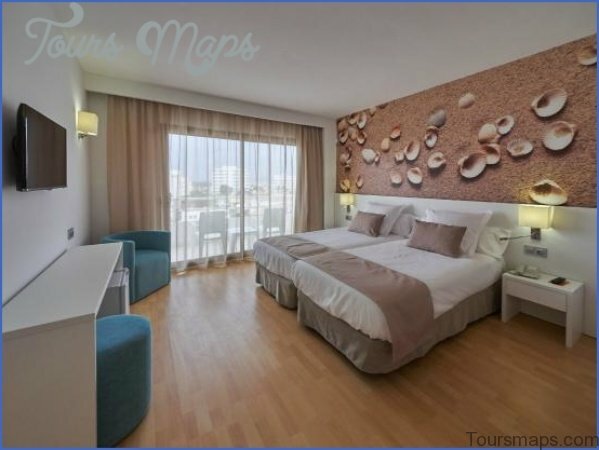 It is one of the biggest ones in this list of hotels and for this reason has loads of things to offer for a great family holiday in Can Picafort. The hotel has many different pools, mini golf, tennis, volleyball, sports fields and mini club. There is loads of space and plenty of sunbeds for all guests. If at any time it gets to busy for you around the main pool, there are plenty of more quiet options all throughout the Grupotel Gran Vista. You can find a summary and links to the best prices on my own website.. this blog by clicking the link on your screen now, and don’t forget to click that comment button to find all my posts on Mallorca even more easy. If you are the owner, director or marketing department in any of these hotels mentioned in this post, or a hotel you think I might have overlooked, then you can get in contact with me on mallorca.